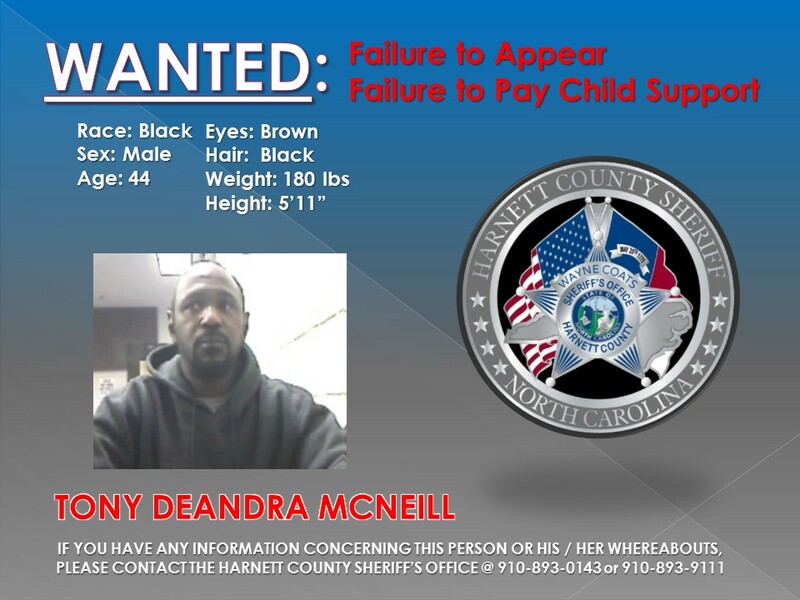 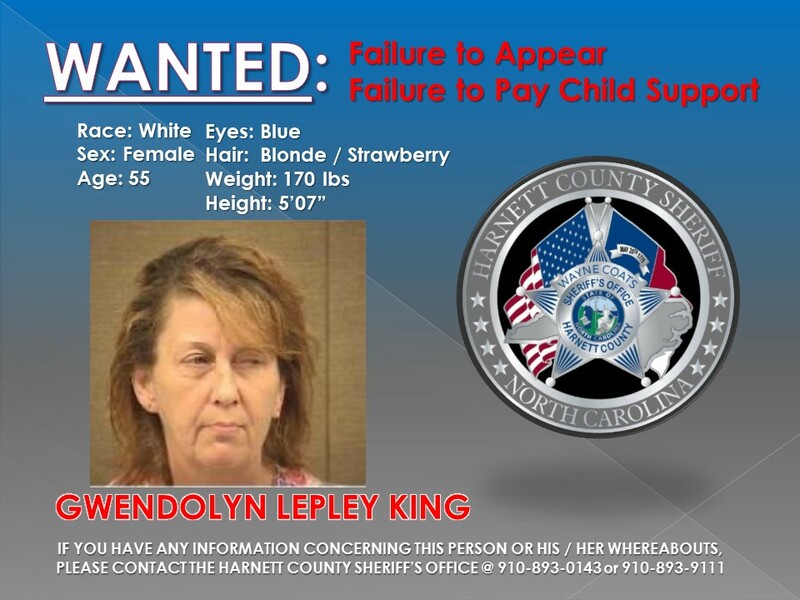 The following persons are wanted by the Harnett County Sheriff's Office. 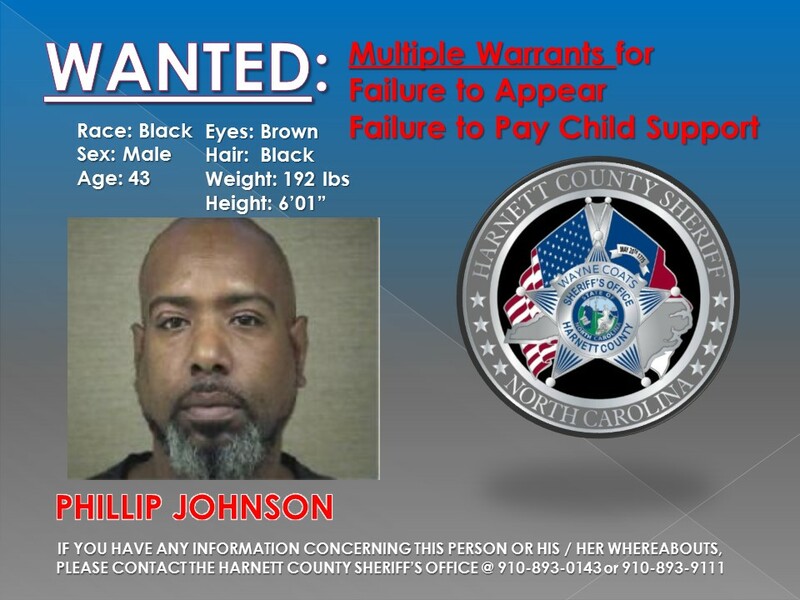 Click each name to see the WANTED poster for each of these indiviuals. 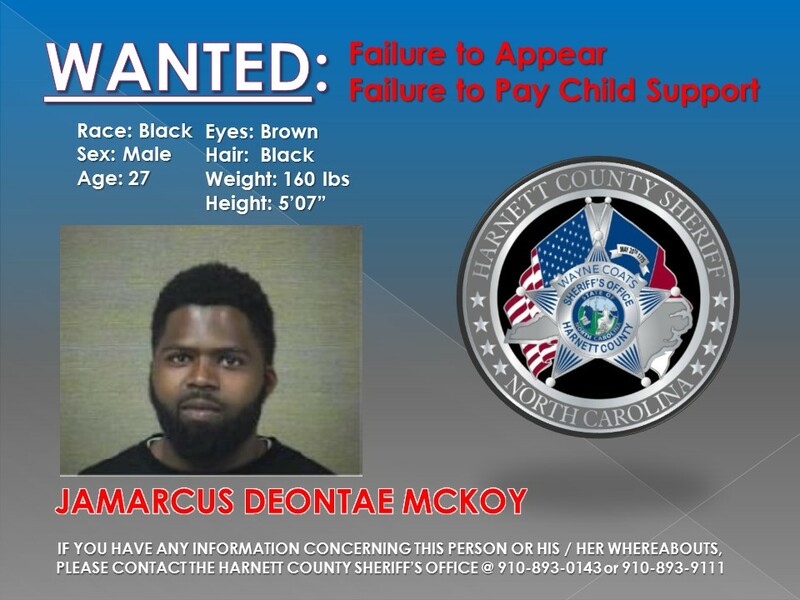 If you have any information related to these individuals please contact Deputy J. Swagger at 1-910-893-0143 or the Harnett County Sheriff's Office non emergency line 910-893-9111. 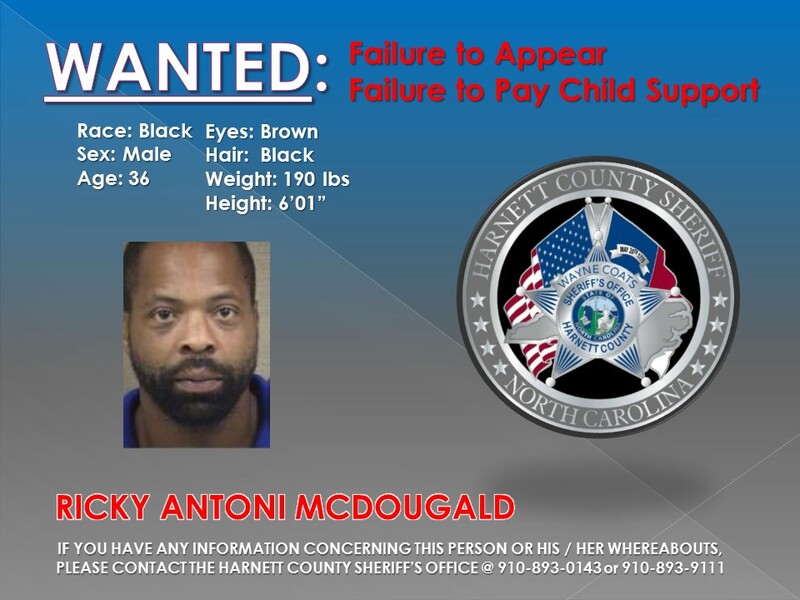 You may also utilize our anonymous tip-line at 910-893-0300. 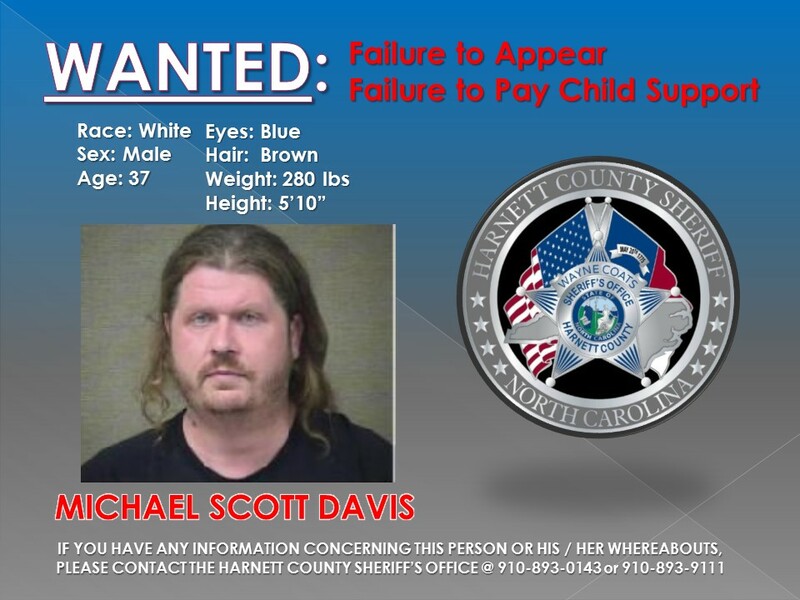 Any information provided will be kept confidential.